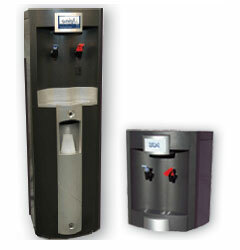 Robo is the perfect Reverse Osmosis water cooler with the large filter bay, oversized formed stainless reservoir and sleek push button faucets. 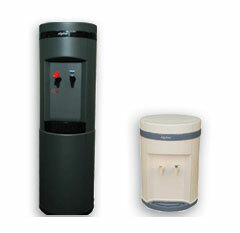 Large 2.5 gallon formed stainless reservoir for plenty of storage eliminates the need for RO holding tank. 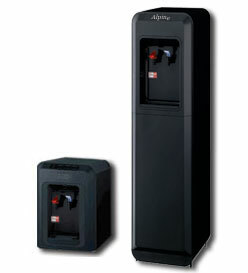 Filter bay allows for complete storage of 1, 3 or 5 stage filter systems. Available in hot and cold - black color only. 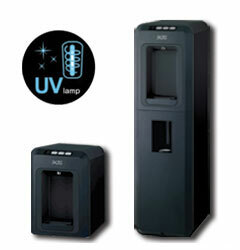 UV or Ozone upgrades coming soon. 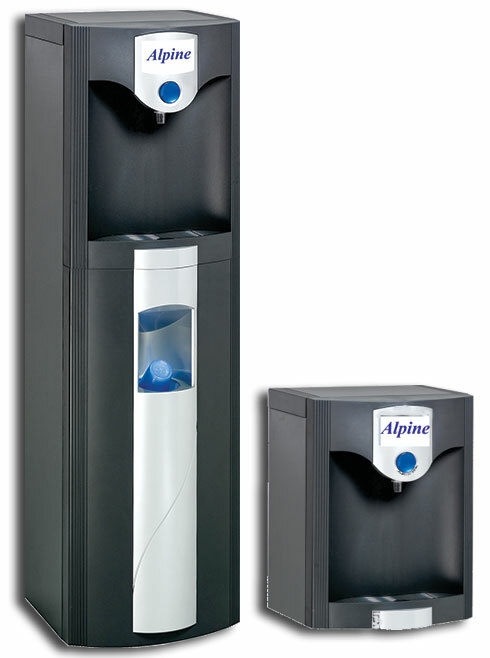 All Alpine® equipment is tested and certified by the Water Quality Associaiton under ANSI/NSF #51. All Feel Well Filters are tested and certified by the Water Quality Association against ANSI/NSF Standards 42 & 53. 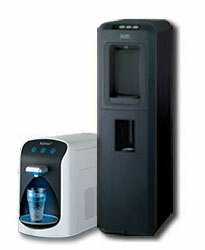 Alpine is the only totally certified Drinking Water Filtration Systems by the Water Quality Association. 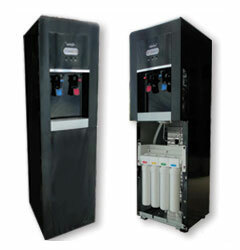 Our new Direct Chiller offers Feel Well® Filtration and Leak Lock protection. All Feel Well Filters are tested and certified by the Water Quality Association against ANSI/NSF Standards 42 & 53. Alpine's Patent pending In-tank UV system sanitizes water as it enters the reservoir together with a nightly sanitization cycle prohibiting the growth of algae, biofilm and pathogenic bacteria. 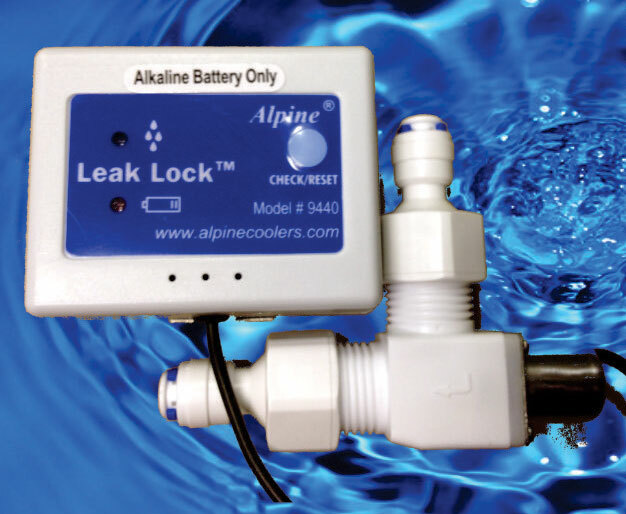 Alpine's Leak Lock™ valves provide instant shut off moisture detection. Our Leak Lock™ valves are a low cost solution that prevent floods and install at the source. They are battery operated so no need for power.